Whether you’re an avid scuba enthusiast or just love adventure, you’ll want to listen to Dive Zone Radio every Sunday. ScubaFit® debuted this week on a new radio program for scuba divers. Dive Zone Radio airs every Sunday from 4:00 p.m. to 5:00 p.m. on 960 The Patriot. 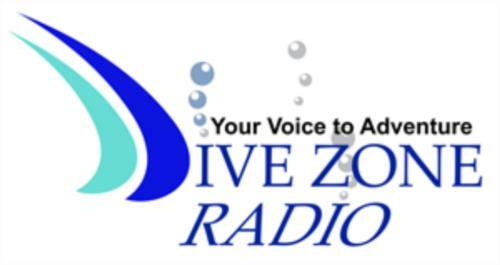 Dive Zone Radio is a continuing conversation about all things aquatic and adventuresome. Created and hosted in Phoenix, Arizona by NAUI scuba diving instructors Mark J. Hadrich and Lew Edwards, Dive Zone Radio is starting out quietly and is already the foremost radio show on scuba diving, dive and adventure travel, and marine topics in the western United States. By involving leaders in dive retail, medicine, health and travel the hosts bring to diving what divers have been needing and did not have, a single voice where fun, education and community eliminate exclusivity. ScubaFit® is a perfect fit for the show with its founder Gretchen M. Ashton appearing regularly to share the importance and benefits of fitness for diving. Gretchen brings fitness to life for divers sharing sound research, training principles, workouts and nutrition designed specifically for scuba divers. She foundedScubaFit® in 2006, co-authored the ScubaFit® Diver Course which is approved by both dive and fitness agencies, and developed the FitDiver® program including a series of mobile fitness apps for divers.Gretchen is a diver, ISSA elite personal trainer, specialist in fitness therapy, fitness nutrition, and NBFE registered trainer, dive fitness author, speaker, ScubaFit® Instructor Trainer, and AAU world champion hall-of-fame athlete. Mark and Lew bring unique insight and experience to the show. Mark’s experience includes managing a full service scuba diving retail and training facility, SSI Dive Control Specialist, ANDI Nitrox Diver, NASDS Advanced Scuba Diver, NASDS Basic Scuba Diver, Underwater Photography and Underwater Archaeology Specialist. He grew up watching ocean related TV shows like Flipper, Sea Hunt and of course The Undersea World of Jacques Y. Cousteau. When Mark was 15 years old he rode his bike to a dive store and although excited and scared, he convinced his sister to join him and they took scuba lessons. At the age of 16 he completed advanced training and underwater photography lessons. Mark hung around the dive shop so much that he was offered a job working for the dive store and a lifelong dream began. Dive Zone Radio is an idea of Lew’s that was realized on a white board in a classroom during a discussion about what was missing in the form of a community in scuba diving. Lew’s background includes ANDI Assistant Instructor, SSI Dive Control Specialist and Master Diver, NASDS scuba diver, NAUI scuba diver, PADI Diver and former Assistant Diving Officer/Diver Misawa Sharks Dive Club. Almost 50 years ago, Mike Nelson, star of Sea Hunt, and the icon of diving, Jacques Y. Cousteau became heroes to a teenage Lew. After a brief dive without instructions of any kind, except, “Don’t Hold Your Breath!” Lew was hooked and is still hooked. He conceived Dive Zone Radio as a way to continue the dive experience outside the water, to pull others into the net and to form a community of divers and non-divers. The Dive Zone Radio website is being prepared for an exciting new year of programming. In the meantime, divers can listen to the show live or subscribe to the podcast. The show has a few highly sought after opportunities left for sponsors and advertisers. For more information email the show at: info@divezoneradio.com.